Cold storage is a service that forms a critical element of the supply chain industry. It is specifically needed for maintaining the quality and integrity of perishable products like food, beverages, and pharmaceuticals. After all, business brands cannot risk losing their reputation by not providing quality products to the end buyers. So this is one service that they cannot ignore at any cost. The journey of cold storage chain has been an impressive one, from what started as air-cooling units for trucks back in 1935 to the modern technology-driven solutions that facilitate storage and distribution of tons of perishable products across the globe today. There are a lot more interesting facts about the cold storage and supply chain industry that you would want to know. Let us list a few of them for you. Before cold storage: Before refrigerated vehicles and warehouses were invented, fresh produce had to be picked for transport on the very same day because storage was a challenge. Moreover, it was possible to take it only up to about 80 km from the source location. The invention of cold storage and transportation came as a revolution for various industries engaged in the production and supply of perishable goods such as dairy, poultry, fruits and vegetables, fish, flowers, medicines and more. Today, it has emerged as a major contributor to the markets and the world economy as a whole. 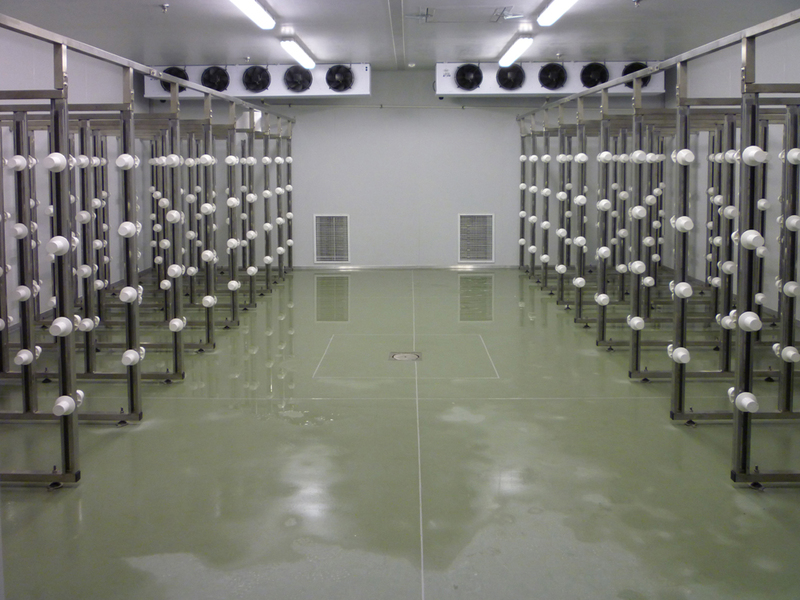 Temperature grades: Cold storage has certain temperature benchmarks that are considered feasible for storing and transporting specific products. The most common requirements are chill, frozen and deep frozen. Chill temperature stands at 2°C, while frozen is at -18 °C and deep frozen is at -29 °C. On the other hand, some products are to be stored at room temperature, which may be anywhere between 8°C and 15°C depending on specific requirement. Colds storage and pharmaceuticals: Cold storage facilities are vital for the pharmaceutical industry as they ensure that life-saving medicines remain at their best till they reach the patients. The ideal temperature for pharmaceuticals is between 2°C and 8°C. The temperature range is particularly important for vaccines because they tend to lose their potency if stored out of this range. Not only this, degradation can pose a health risk for patients as well. Another key consideration for this industry is to prevent storage temperature fluctuations. Advanced technology: If you’re looking for cold storage service, you need to understand the technology that goes behind it and ensure that the provider follows the most advanced techniques. The industry has come a long way, with its objective going much beyond the maintenance of temperature. It also encompasses temperature monitoring to ensure that there is no compromise in the product quality through the supply chain. As a result, the industry has embraced innovative technologies such as GPS tracking, predictive maintenance, humidity monitors and self-reporting alerts. Cold storage and computers: Have you ever imagined how temperature-control sensors and computers can run optimally in a warehouse that has sub-zero temperatures? Considering that computers are not capable of withstanding extreme temperature conditions, it is a challenge that scientists have been working on. They came with a smart solution by creating protected areas within the warehouse premises. These areas are meant to house the sensors and computers while safeguarding them from the cold and condensation in the storage area. Temperature control during transportation: Temperature control during transportation is as crucial as it is during storage. Perhaps, it is even a greater challenge considering that perishable products have to be taken long distance while withstanding extreme conditions in some parts of the world. Refrigerated vehicles are equipped with in-built power sources that take care of the cooling needs. The units are independent of the vehicle itself which makes them capable of functioning even while the vehicle is switched off. Occupational safety in cold storage industry: Since the industry operates at temperatures beyond the comfort level of human beings, there are certain occupational safety standards that it has to adhere to. According to the Occupational Health and Safety Act, 1993, no worker can be made to work inside a cold storage unit that has a temperature ranging between -18°C and -37°C for more than a period of 50 minutes at a stretch, without allowing a 10-minute break at the room temperature. Workers are to be given safety gear including specialized freezer suits, socks, boots, gloves and a balaclava. These facts may have probably amazed you and brought ahead cold storage as a complex industry. But the fact is that this is a segment that has a significant impact on the world economy and the humanity as a whole.